See Diary Part 9 here, or to access all entries, hit “The Diary” tab above. I found this video of Richard Armitage discussing Guy of Season 1. I don’t know what happened, but he either completely missed on this character, misrepresented the character or the writers changed direction. Or, well, I just don’t know what else could have happened. But at this point it’s really hard to believe Richard Armitage was this off. He just seems too in tune with how things are perceived to miss this badly. Or was he just yanking everyone’s chain when he said he wanted to make them squirm. Maybe he didn’t mean squirm from disgust. I’m intrigued by this complete miss. Must find out what happened. Can I ever really know what happened? It’s going to drive me crazy until I find out what happened! Whether I ever find out, I just love the video. Richard Armitage seems like a really sweet person. I hate to use the word sweet because it has connotations of someone who’s benign. I could never associate the word benign with Richard Armitage. Maybe sweethearted is a better choice. I’m becoming so biased about this actor. Maybe he’s really a schmuck. See Diary Part 11 here. Welcome to all RA fandom! When i saw this clip for the first time, some 10 months ago, I was also confused. I did some search on the fanblogs and sties and from now and then the same question you raised here, keeps popping up and is discussed extensively. I put it down to (his) English humour, because you see him laughing at the end of that remark. I hope you stay amazed. A couple of years ago that question was quite a teaser for me, but I think I’ve worked out what happened. More on that later. I think the writers, producers and directors first began the show with Jonas Armstrong as the main character not knowing that R.A would virtually steal the show from under the young actors feet(so to speak). Also my own feelings were that the writers were flying by the seat of their pants and changing the story line all the time. For instance at the end of the second season R.A did NOT want the storyline to end that way but he had no choice and so the writers got their way and the writers got it WRONG! What made R.H so good was the chemistry between Lucy Griffiths and R.A and the love triangle that existed between Guy, Marian and Robin and it is this that drove the show on. It basically became the Guy and Marian anti-love story, while Robin was left as a ‘bit’ player. I thought Jonas Armstrong lacked the charisma to take the lead and it was inevitable that R.A with his ability to flesh out a character and add layers to him would steal the entire show and good on him. I think the dropping of Guy’s revolting sniff was a good indication that a change in his character began not very long into the series. Early Guy was squirm material I thought and I still found him so when I revisited those episodes. Quite right. inmy perspective. The RH production team bit off more than they could chew. They capitalised on recruiting a first-rate actor, who had suddenly garnered a tremendous following. And then found the story line was not entirely in their hands, for a number of reasons. 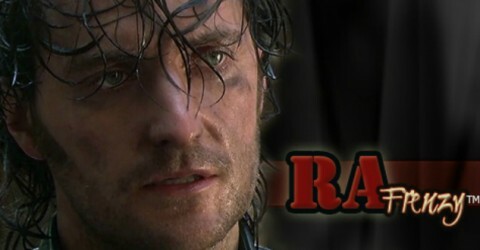 No doubt, in their minds, Gisborne was an evil foil to the “real” hero. (But the sheriff already fulfilled that role – you don’t really require two one-dimensional villains). And then found themselves dealing with a well-trained, experienced and serious actor. (Every actor should have to have his/her spear-carrying days…)And had to “go with the flow”. Including audience reaction. Perhaps the exception lay in scenes with the very young Lucy Griffiths, who, I felt, hit Marian perfectly; Possibly partly because Mr. Armitage recognized 1: her talent, and 2: Marian’s significance to the evolving character of Gisborne. @marie, I agree 100% with you! @Fitzhugh, good point about the sheriff already filling the role of a genuine bad guy, which makes Guy have the strong potential to be redeemable. Plus, in one of the commentaries, I think it may have been for S2 or maybe when they made S3 and they interviewed the shows creators/writers, Dominic Minghella (sp?) said they wanted to have Guy be someone who just missed being Robin Hood, that he had the potential to go in the other direction. So how could he really be the “bad” guy? And I also think LG was fantastic as Marian. In the DVD commentaries one of the creators said that she was a natural actress. I think it must be true given her age (19) for S1 and inexperience. She held her own against acting vets like RA who obviously had formal training and TV experience, and against Keith Allen too. @RAFrenzy, you know, I’ve said the same thing to myself plenty of times “I’m becoming so biased about this actor. Maybe he really is a schmuck.” But I really hope not!! @TW – Happy to find another Marian/Lucy fan, particularly as, there had been a strong anti-Marian contingent among audience/fans. She was exceptionally good for one so young. IMO (NOT abandoning English for txt-spk, but some terms are useful!) the strongest scenes were those between Lucy and Mr. A. Probably “projection”, but it’s possible that Armitage showed a generosity to a young actor, which he didn’t perhaps feel necessary toward the others. What could you do with Robin, anyway?! Interesting to compare with Spooks and N&S, true ensemble casts, with strong casting and writing all around. @fitzg I had no idea there was a strong anti-Marian/LG crowd, that’s complete news to me! I knew that there were alot of people who didn’t like Kate in S3, but I thought everyone loved Marian. I remember in the commentaries for S1, where Marian goes to see Guy and asks if he tried to kill the King, ,just before she is to marry him, and the two of them are alone in his house at Locksley, LG said it was her favorite scene in the whole series! To which RA replied, “why, because you get to kiss Richard Armitage?” Well, Jonas Armstrong was also doing the commentaries for that episode, and he did not react well to their interchange. In fact, I don’t think he ever did a commentary with the two of them again! In response to the previous poster, who could blame Jonas Armstrong for being a bit miffed (if he was at all) at having the dumb writers wreck this fabulous retelling of the Robin Hood legend that we all know and love by having Marian and Guy’s “love story” take front and center over what should have been: a Happy Ever After for Robin and Marian. I’ll never forgive those dumb writers and producers for ruining the show that I loved so much. I’m still quite upset about it, and I don’t think I’ll ever quite get over it. And for the record, I think Jonas Armstrong has plenty of charisma, and that he and Lucy Griffiths had wonderful chemistry (see the scene from Season 1, Episode 2, where she comes to him in the castle dungeon, for example). To me the definition of a good actor is one who can convey a story line without saying a word and I feel that R.A does that par excellence. Also IMO L.G was a first rate Lady Marian and the chemistry between R.A. and L.G will live long into the memories of R.H fans and that is the epitome of first rate actors. I am not anti-Jonas Armstrong but I feel perhaps he was too unseasoned to take on a lead role in R.H against the more substantial R.A who did a masterful performance of Guy despite some incredibly stupid story lines. To me, both Richard and Lucy seem to be instinctive in their acting mainly because they can convey so much in just one look. There is only one episode where J.A stood out with a single look and that was the end of Season 2 where he is enraged at the Sherriff and Guy for obvious reasons(don’t want to be a plot spoiler lol). If you are a great actor then you should be able to hold your own no matter who is your protagonist(take Philip Glenister and John Simm-Life on Mars) but for me Jonas was simply not experienced enough. For instance in some of the scenes between him and his very loyal servant Much, Robin comes off sounding petulant and not strong at all. This is a friend who went to the crusades with him and yet Robin basically tells him to take a hike because things haven’t turned out as he would like. Some of it is of-course the poor writing, the scripts were horrendous but hey, R.A and L.G did their best and many of the best lines were given to K.A. so it does come down in the end to experience and instinct. And in season 3 you see Guy’s self descruction and redemption and that Marian always remained the love of his life. What was Robin doing? Canoodling with Isabella and Kate which I think once again the writers got it majorly WRONG! I best end it there as this is a rather long response lol. Marie PS: No offense to J.A fans. Just wondering if anyone else thinks that Richard would have made a great Severus Snape? THough I love Alan RIckman(who is one of my fave all time actors) I think RIchard would have been superb and it would have helped lift his acting profile, internationally. @tiff, I’ll have to pay attention to the sniff and its correlation to the improvement of Guy’s character. @tm, I think we all suspect he’s not a schmuck. That’s what makes pacing myself so much more difficult. If he were a schmuck, I probably would not be writing this blog. I would still like his acting, but I sure as hell wouldn’t be giving this much time to it. @fitzg and everyone else for that matter, I agree with pretty much everything said, but I have another facet to add that I haven’t seen explored, or maybe it has and I just missed it. More on that in another post. And to any Jonas Armstrong fans reading this, I LIKE Jonas Armstrong. I just happen to LIKE RA more. I hope that’s not offensive to any of you. I liked JA too. Think there’s plenty of potential there. And he definitely had some strong scenes. Give him a couple of years to marinate. And carry some spears. He’ll be fine.